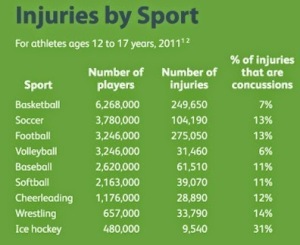 Trauma remains the leading cause of death and disability for children in the United States. Motor vehicle crashes contribute to a huge portion of such traumatic injuries in children, and cause over 50 percent of traumatic injury deaths of children. 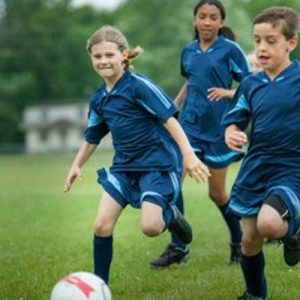 While most research regarding children in motor vehicle crashes focuses on preventing injuries, my research group recognizes that prevention is not 100 percent effective. Therefore, we chose to focus our efforts on the treatment of children injured in motor vehicle crashes when prevention fails. One of the most important factors in the treatment of injured children is the process of trauma triage. Triage is the process of transporting the “right patient to the right place at the right time.”The “right place” depends on the severity of the child’s injuries. 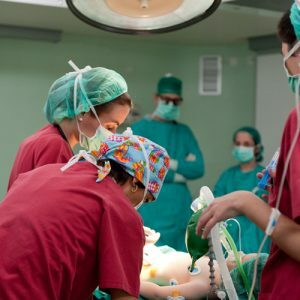 For severely injured patients, the right place is usually a specialized trauma center, where doctors specialized in the treatment of traumatic injuries are on-call 24 hours a day. Failure to identify these children in need of treatment at a trauma center can result in disability and death. However, it is not practical to send every child to a trauma center. This would put an undue strain on the trauma system’s resources and may thus impair care of those more seriously injured patients. Currently, most triage systems rely on assessment of the child after Emergency Medical Technicians (EMTs) have already arrived on the scene. EMTs assess the child, determine the severity of the injuries and decide whether or not they need to be transported to a trauma center. This is problematic for several reasons. 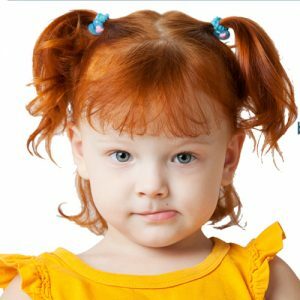 First, the assessment and determination of whether or not a child needs transport to a trauma center may be highly subjective. Second, it may be impossible to determine, based on the limited diagnostic tools available in the field, the specific injuries a child has sustained and thus how severe they actually are. Third, this process may be long and arduous for children in rural areas who often live long distances from trauma centers. Such children would require transport by helicopter to the nearest trauma center. By the time the EMT team arrives on the scene, determines helicopter transport is necessary and sends for such transport, critical time is wasted that is best spent treating injuries. For these reasons, some began to wonder if it would be possible to determine which children injured in motor vehicle crashes were likely to need treatment at a trauma center with a systematic approach even before EMTs arrived at the scene. Such a system could eliminate some of the bias of the current subjective triage process and could save precious time for children living in rural areas. This could be accomplished through an Advanced Automotive Crash Notification (AACN) system. While AACN systems have been developed for adults, no such systems have been developed specifically for children. 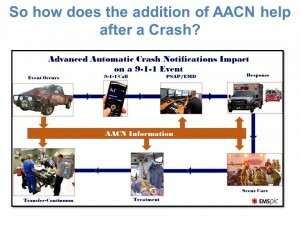 Our research is focused on creating an AACN systemthat will help EMTs decide which children need treatment at a trauma center after a motor vehicle crash. 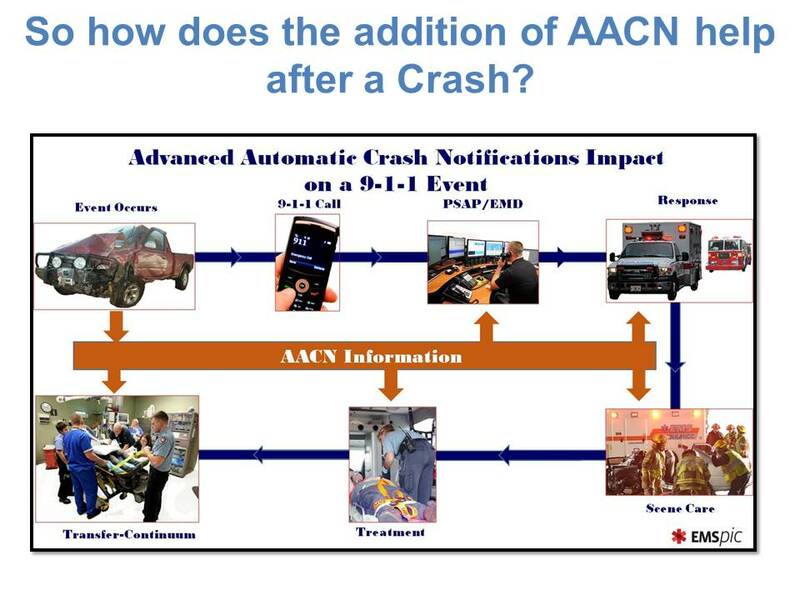 AACN systems use information recorded in a vehicle at the time of the crash, such as speed and direction of impact. They can then use this information to predict the severity of the injuries occupants in the vehicle are likely to have sustained. This information can be transported from the vehicle’s black box to EMTs so that the appropriate resources can be immediately utilized. AACN will not replace the ability of EMTs to assess and treat children but will improve the ability with which they can do so quickly and correctly. We hope that our AACN system can help improve the care of children injured in motor vehicle crashes throughout the U.S., making it possible to get many more of them to the right place at the right time, no matter where they are injured.